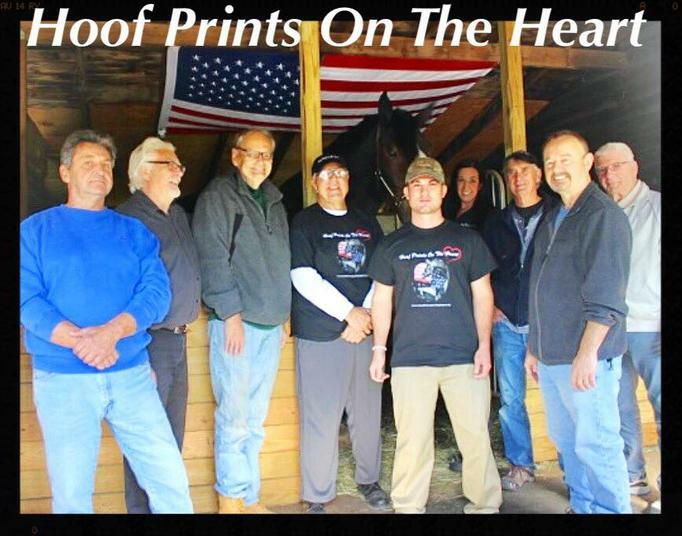 Hoof Prints On The Heart, Inc is a 501c(3) Nonprofit organization dedicated to providing Equine-Assisted Activities and Therapies (EAAT) to individuals who are working through personal and emotional challenges in all stages of life. 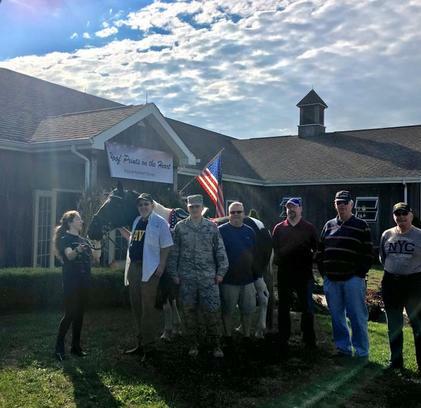 Under the guidance of a licensed counselor, and professionally trained staff, children and adults who may be experiencing feelings of anxiety, depression and isolation will have the opportunity to receive unconditional acceptance through a genuine connection with horses, in a peaceful and idyllic setting. Located in beautiful Millstone Township, NJ, the heart of picturesque Monmouth County horse country, Hoof Prints On The Heart offers participants a chance to reconnect with nature and explore alternative solutions to common every-day problems by actively engaging with caring and compassionate staff and equine partners in a safe, fun and therapeutic environment. 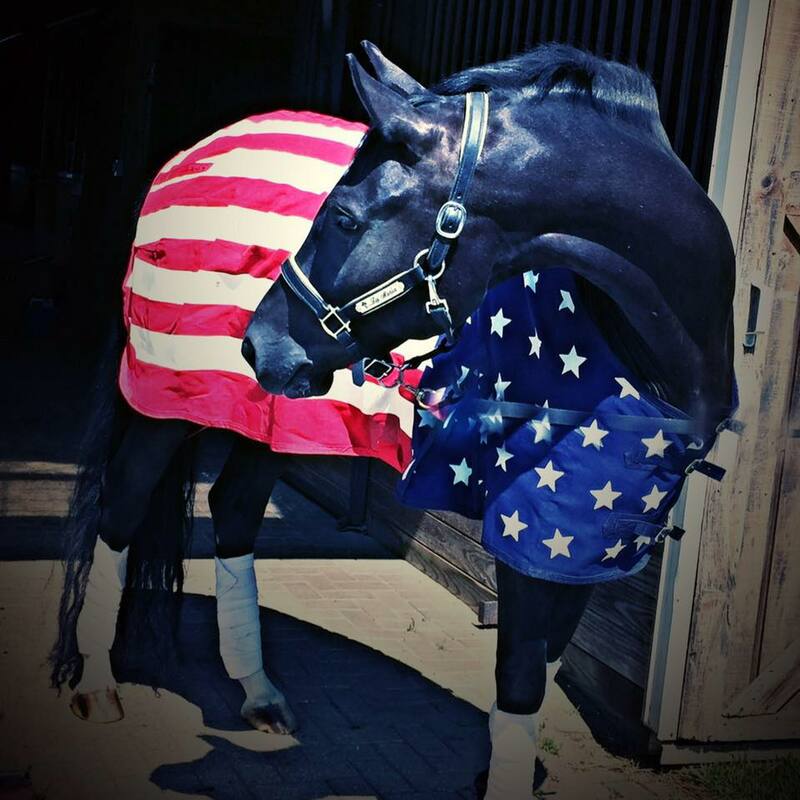 In addition to helping people, Hoof Prints on the Heart gives many horses an opportunity to have a purpose long after their show career ends. Your donations make the difference and allow us to enhance the lives of many people. Here are a few of our foundation horses that are currently donating time to our program. 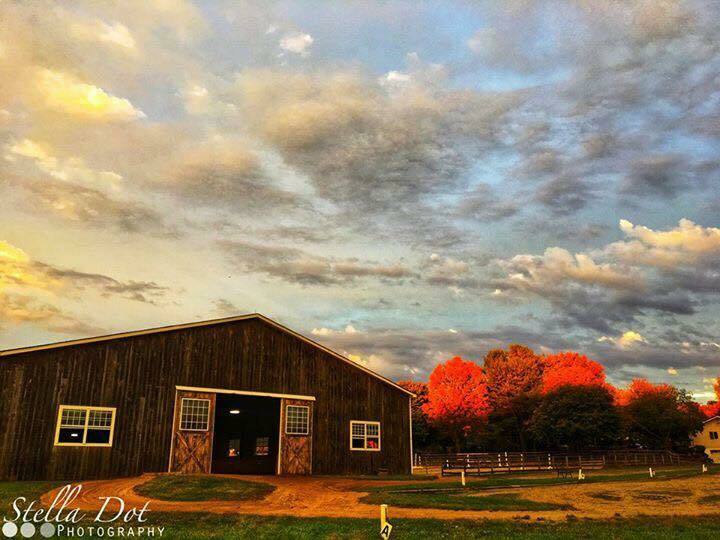 Hoof Prints On The Heart is honored to offer group and individual Equine Assisted Activity and Therapy (EAAT) sessions in a safe, caring supportive and natural environment. Most sessions involve ground-work only, though each session is custom-tailored to address participant’s individual, personal, short and long term goals, and involves the participation of a horse or horses. Session designs focus on education about equine psychology and behavior, as well as participant self-awareness. 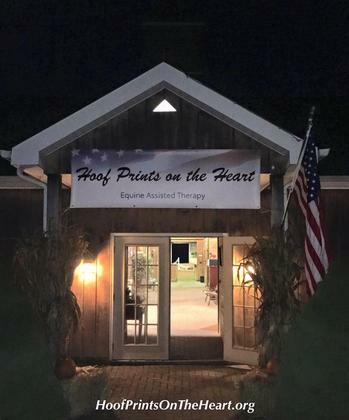 The Hoof Prints On The Heart EAAT program is an alternative way to learn and grow, and assists participants in exploring new ways to face challenges that may result from serious trauma, or common every day stressors. 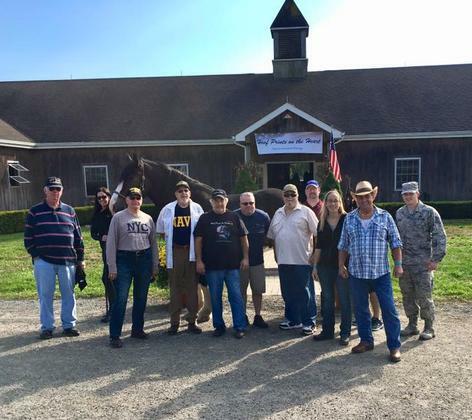 Each session is unique, but some sample designs include an introduction to basic safety and horse care, equine-based grounding techniques, mindfulness, horsemanship education, leading, grooming, and trail walks. Some of the skill building areas that our program focus on include resilience, conscious intentions, creative approaches to solving problems, relationship and social skills, self-confidence, self awareness, self-acceptance, trust, assertiveness, grounding, and mindfulness of the present moment. 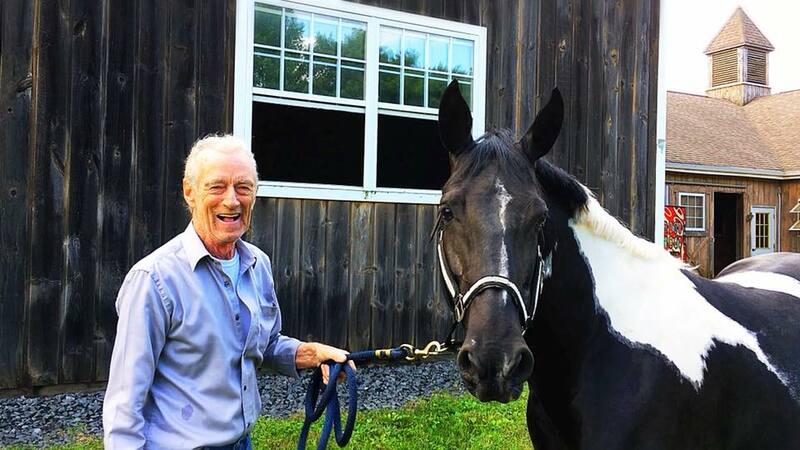 In addition to helping our participants, Hoof Prints on the Heart gives many horses an opportunity to have a purpose long after their previous career ends. 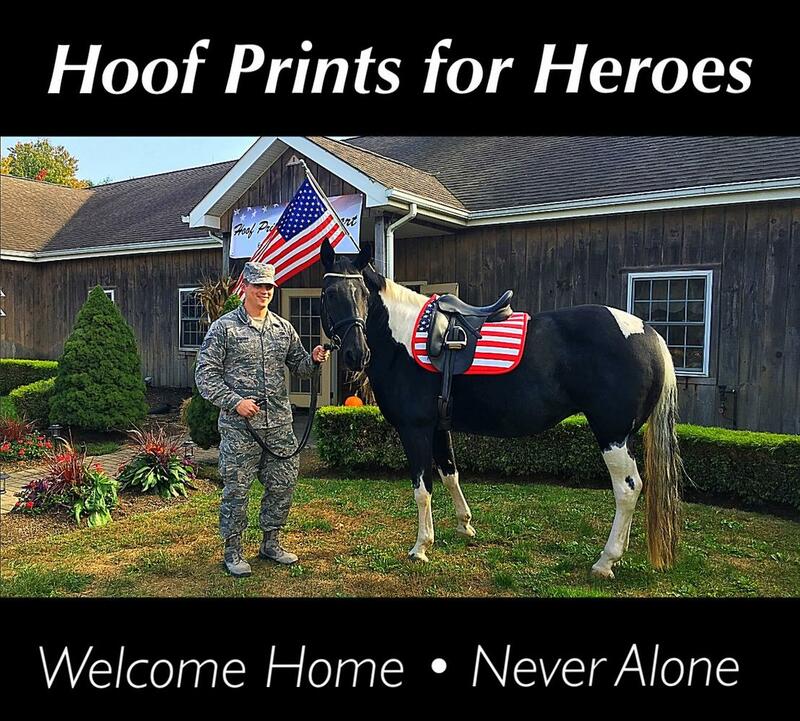 Hoof Prints On The Heart is honored to offer “Hoof Prints for Heroes”, a program specifically designed to work with veterans, active and reserve military members, first responders, and their families. Group and individual sessions are available in a safe, caring supportive and natural environment. 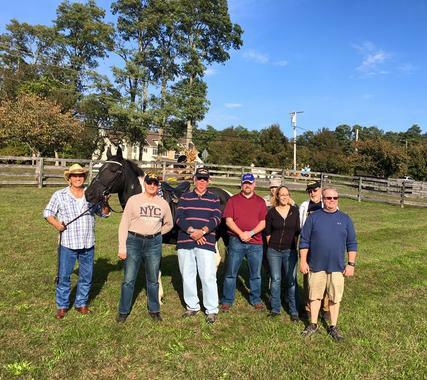 Each session is custom-tailored to address participant’s individual, personal, short and long term goals, and involves the participation of a horse or horses. Session designs focus on education about equine psychology and behavior, as well as participant self-awareness. Heroes and family members will learn how horses, as prey animals in nature, are highly sensitive creatures with the ability to quickly assess situations, and provide in-the-moment feedback on our emotions. They also possess the unique ability to mirror our internal perceptions and intentions. The Hoof Prints for Heroes program is an alternative way to learn and grow, and assists participants in exploring new ways to face challenges that may result from serious trauma, or common every day stressors. Dr. Graciela Carbajal is an independent practitioner with an office located at Golden Gait Farm. In between patients, Dr. Carbajal also volunteers her time at Hoof Prints on the Heart. Her credentials include masters in Clinical Psychology, Special Education and School Psychology. She received her Psy. D. from Pace University. For her post graduate, she partook in the Fielding Institute program in Neuropsychology. She is certified in School Psychology in both NY and NJ. EAP is a powerful and effective therapeutic approach that greatly impacts individuals, young and adult alike. Dr. Carbajal offers this unique treatment option, which effectively incorporates the use of horses for mental and behavioral health therapy, as well as personal development.